If you're like me you are logging in to different sites all day long. When that prompt appears in your browser asking if you want it to remember your password it's very tempting to click on Yes, so you don't have to remember it or type it in again. You might even set your browser to automatically remember your passwords every time you create a new username and password. Whenever you visit that site again your browser automatically completes the login details for you - no more trying to remember your password - easy! Beware! Having your browser remember your passwords isn't as secure as you might think. Your passwords are stored on your computer and there’s nothing stopping someone viewing a list of all your passwords just by accessing your browser settings; by someone using a separate utility to access them; or if Malware gets onto your computer. Some browsers are more secure than others…. If you're using Firefox you can set a master password, which provides an extra layer of security, but are still ways of getting to the password list. Internet Explorer and Google Chrome don't offer a master password feature, but your passwords are encrypted and only decipherable with the Windows user password that was in use when the password was created. 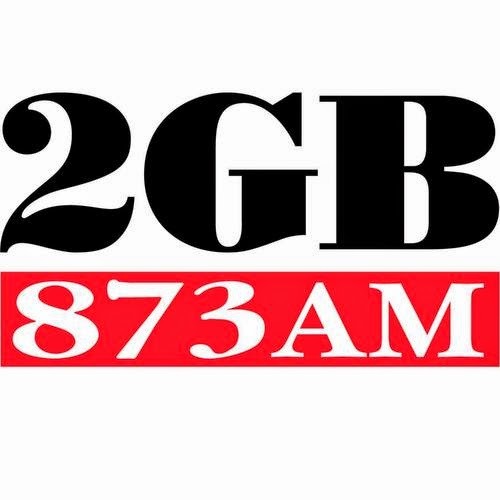 (That’s the password you enter on the first screen that appears when you start up your computer – unless you have chosen not to have a password!). 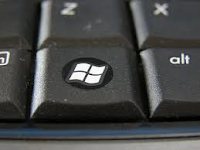 If someone gets your Windows user account password then they have access to your saved browser passwords. 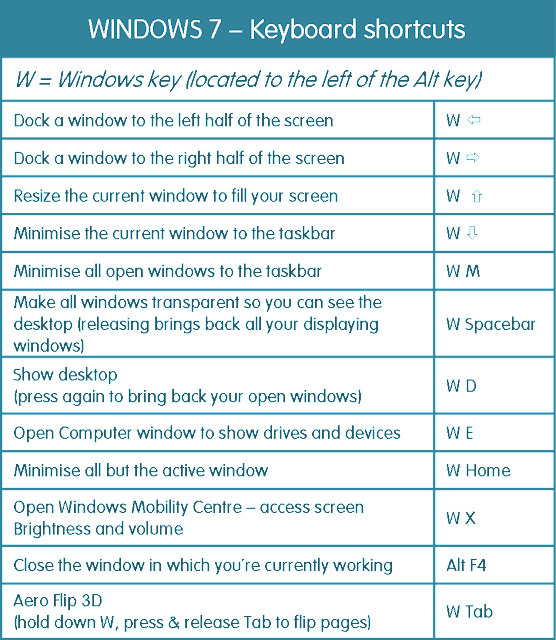 There are utilities which can decipher Windows passwords, so make sure you have a strong Windows password. Safari is the most secure browser because, unlike the others, you cannot see the stored passwords. Safari stores your passwords in a ‘secret’ file that’s a bit harder to find. 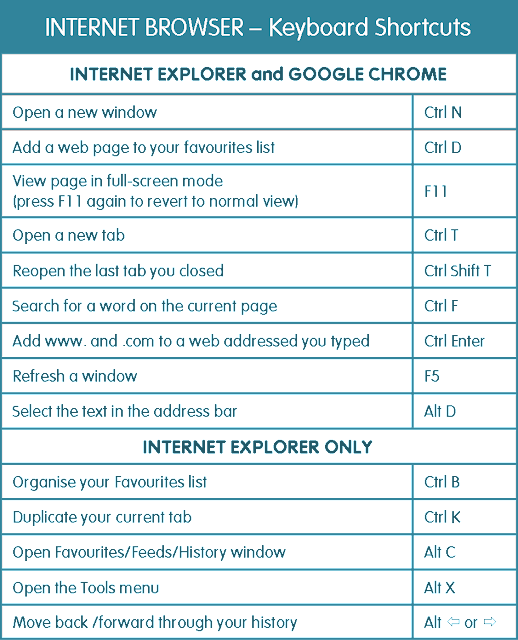 While researching this post I came across two sites that give instructions on how to access the password lists on all of these browsers! 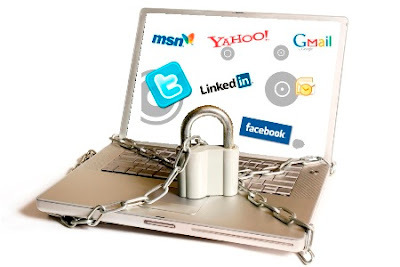 If you’d prefer not to have your browser remember your passwords, most internet security suites offer password managers (like Norton Symantec Identity Safe) where your logins/passwords/credit cards/frequent flyer numbers can be stored securely. This means the only login and password you need to remember is the one for your security suite's password manager. 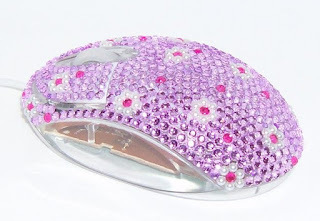 Once this is provided any logins on websites are completed for you. They can also auto-fill online forms that you use regularly. Another option is a separate Password Manager – either on your computer or in the cloud - for storing your individual login/passwords so you only need to remember one master password. Unless you only ever use one computer at home I’d recommend an online/cloud based password manager. Then you’ll be able to access your passwords at home, work, anywhere, no matter what type of computer/mobile device you use. The best also give you a synchronised, local copy of your password database on all of your computers and mobile devices, so you don’t have to worry if the password database in the cloud goes down. If you’re worried that the Password Manager might not be safe – don’t worry – they don’t actually have access to your passwords. The database of your passwords is created by your computer encrypting the passwords and other personal data before uploading a copy to the cloud. Because the data was encrypted on your computer, the password manager is not able to unlock it – only you can. Lastpass - There’s a free version (for all major operating systems, browsers and iPad) as well as a premium version ($1 per month), for an extra layer of security and using it on multiple systems. Lastpass is the easiest to use - automatically adding your login/password to a website as soon as you arrive at that site - no button-clicking required. It can also analyse your existing passwords for weaknesses and generate really secure passwords for any new logins; and there’s an option to automatically delete passwords stored by your browser. A local copy of your passwords and personal data can be stored on all your mobile devices and personal computers. ONE LAST COMMENT: You might think the easy way out is just to have the same password for everything and just remember that. What happens if one of your accounts gets hacked – you’ll have to change your password for every other site where you have created an account! However, say your Facebook password is compromised and you have a different password for all your other sites, you just have to change that one password. If you’ve been to an Officeworks store lately you’ll probably have heard their PA messages announcing that you can now access the internet for free within their store. How does that work? Officeworks have established a Wi-Fi hotspot within their stores. A hotspot is a location that offers a wireless access point where you can connect mobile devices (laptop, smartphone, tablet) to the internet. Hotspots can be found in airports, cafes, libraries, coffee shops, hotels, and other public places. Although some venues charge for access, the majority offer it free to entice customers to their business. Wi-Fi hotspots are great if you’re travelling or maybe you’d like to get some work done in your favourite café, rather than your office. A Wi-Fi hotspot is easy to connect to and allows you to do anything you’d normally do on the internet from your home or office. How do you find a Wi-Fi hotspot? Look around when you’re out and you’ll probably see signs all over the place –or visit http://www.freewifi.com.au/index.htm for a directory of Australian hotspots. The basics - how do you connect to a Wi-Fi Hotspot? 1. Open your device and search for wireless networks. 2. Connect to the applicable wireless network (ask the staff for the network name/s). 3. 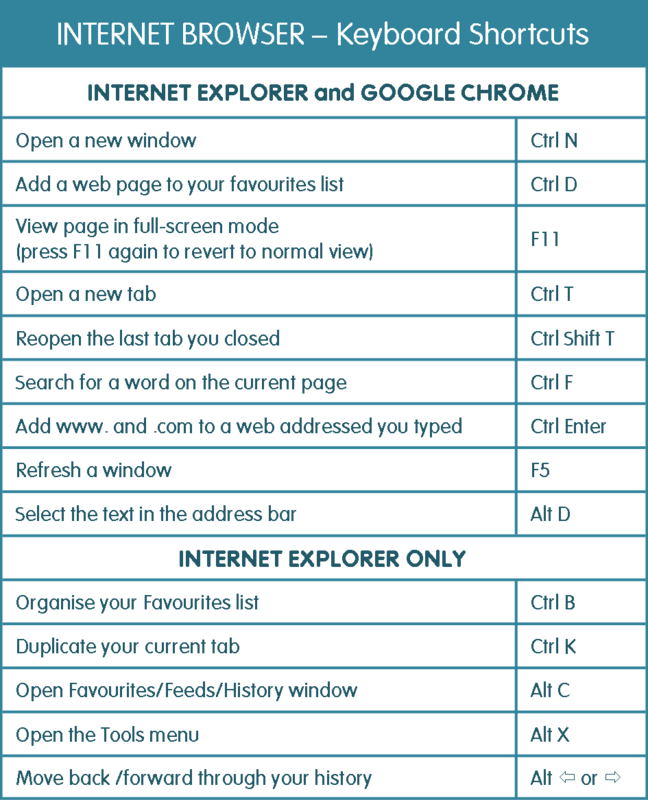 Open your internet browser (e.g. Internet Explorer) - you should be redirected to the hotspot's 'portal' . 4. Click CONNECT, or you’ll find instructions for setting up an account (if required) on the portal. 5. You should be redirected to your homepage and you’ll now be free to browse the internet, send/receive email etc. However, if it’s easy for you to access a Wi-Fi hotspot, then it’s also easy for anyone else, and sharing a network with complete strangers can cause some security issues. How do you connect SAFELY to a Wi-Fi Hotspot? When you display available connections on your laptop (or smartphone or tablet) you’ll see a list of ‘secure’ and ‘unsecure’ networks. The venue will let you know which are their networks. Choose a secure option – look for WPA2. This means that the venue will need to provide you with a password/security key to access their network. However, this just means that you are safe from people who aren’t on the network. Other people at the hotspot can see what you’re doing because they are logged on with the same password. So, what can you do to protect yourself? A firewall protects your computer from unauthorized access when you are connected to a network. 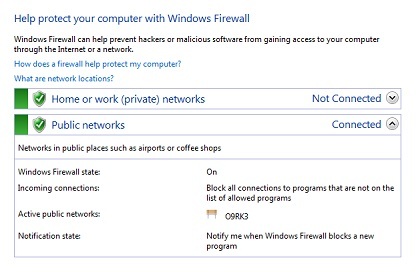 Your firewall should be on at all times, but it’s especially important when you’re using public Wi-Fi networks. In Windows 7, go to your Control Panel and click on Windows Firewall. This window will show whether your Windows Firewall is activated or not. 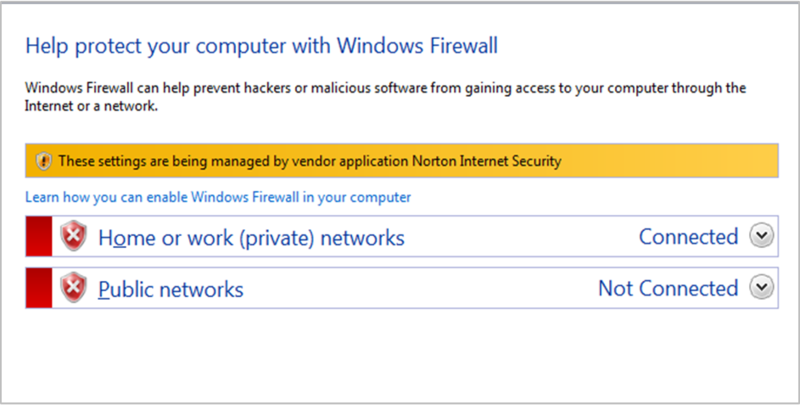 If you have internet security software that includes Firewall protection, which replaces the Windows Firewall, it will also be indicated in this window. 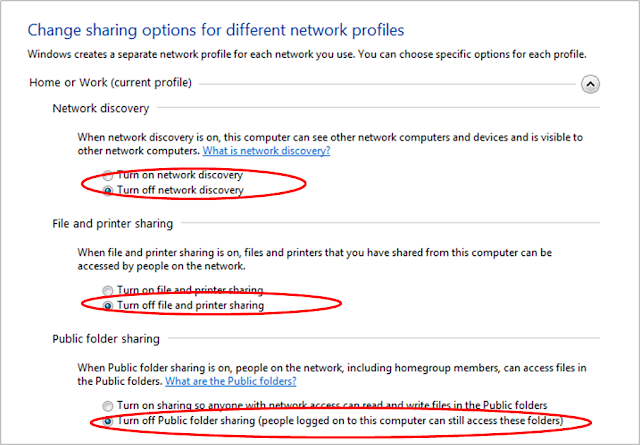 Make sure you disable file and printer sharing options. · From the Control Panel choose Network and Sharing Centre. 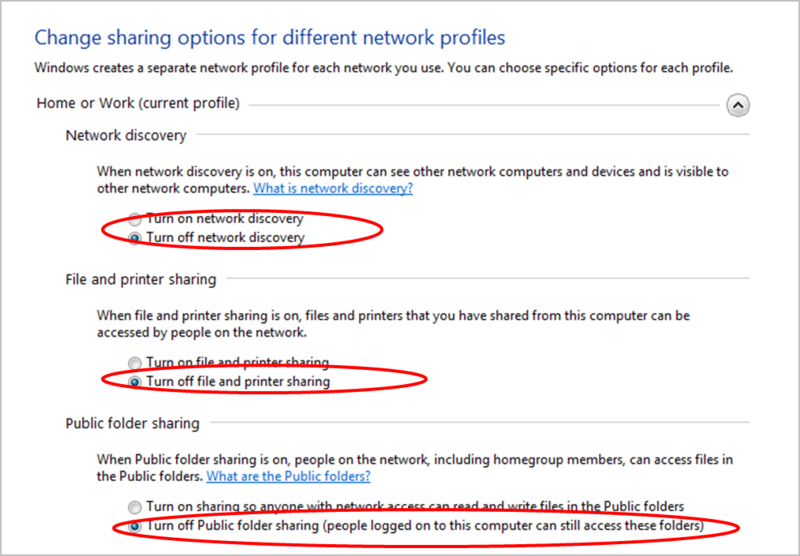 Click on Advanced sharing settings. · Turn off Network discovery, which makes your computer harder to be seen by others on the network. Try not to open any sensitive files, and avoid financial transactions if you can. The usual security precautions apply – anytime you have to provide personal details or a credit card online, make sure the website begins with https://, indicating the site is secure and all transaction data is encrypted. If you are using Internet Explorer, look for the padlock at the right had end of the address bar. Besides someone else at the hotspot being able to view what you’re doing on your computer, there are other, more serious, risks. A rogue or ‘poisoned’ hotspot refers to a free public hotspot set up by identity thieves or hackers for the purpose of intercepting any information being sent over the Wi-Fi network. These rogue hotspots are usually unsecured Wi-Fi networks that mimic the network you think you’re connecting to. It’s most common in hotels, and the hotel often doesn’t know it’s happening. A hacker in another hotel room can intercept any data on the hotel’s wired or wireless networks and can easily attack unsecured devices. The key here is always use secured networks. Wi-Fi Hotspots can be very useful when you’re travelling, or if you need to connect to the internet away from your home or office – just make sure you do it securely. How to dry out a soggy phone, and hopefully save it! A few weeks ago my husband thought he’d be clever and switch his phone to vibrate so it wouldn’t disturb a group I was hosting in the adjacent room. It wasn’t the phone that disturbed us five minutes later, but my husband screaming when the phone rang. He had left the phone next to the kitchen sink, where it had vibrated itself so violently it moved across the bench and into the sink! Unfortunately, the sink had a bowl of water in it, and of course, that is where the phone landed. Luckily I knew what to do and the phone survived. Then, this morning I got a call from a good friend who told me her son was playing a game on her phone yesterday and left it outside when he came in. She didn’t realise until this morning when she couldn’t find her phone. The problem was – it rained last night – she wanted to know if there was anything she could do to save the phone? There sure is….. If you drop your phone in water it’s not the end of it – it can be saved! 1. Get it out of the water! 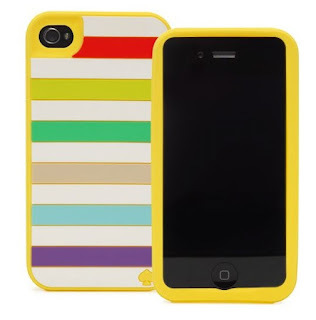 · iPhone: Make sure it’s turned off – hold down the power button and home button until it powers off. Then remove the SIM card. 3. Remove the battery, SIM card and SD card and don’t put them back in until the end of the entire drying process. 4. 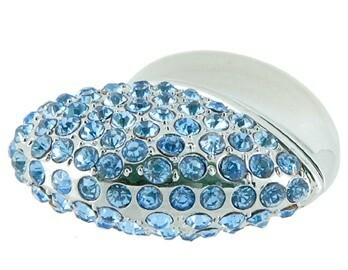 Gently towel dry the phone to remove as much visible moisture as you can. Dry the battery, SIM and SC card too. 5. Put the phone and battery in a ziplock bag of uncooked white rice (or a sealable container) – remove all the air and seal for at least five days to get all of the moisture out. Put the container/bag in a warm place to help it to dry out. 1. 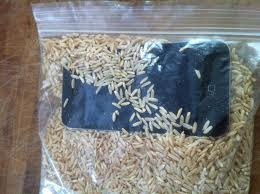 Instead of rice you can also use several silica get packs (like DampRid) in a ziplock bag and let the phone sit in it for at least two days – or longer. 2. Then put the phone near a warm fan (try using your computer's exhaust fan) and let it dry out even more. Let the phone heat up slightly and dry for about 6 hours. · For an iPhone: The last step is to connect to your computer and go to iTunes to do a complete system restore. · If you have an iPhone 4 you can also remove the two Phillips head screws on either side of the charging port and slip off the back to allow you to dry it out better. · If your phone doesn’t work, try a new battery before you buy a new phone. 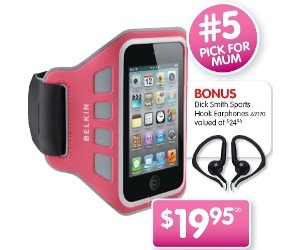 XO Skins Aqua Dry Bag is designed to absorb moisture and save wet devices. 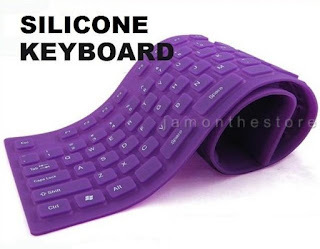 You can use it for phones, iPods and cameras. 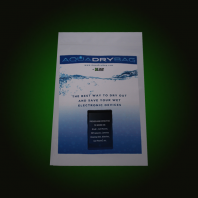 You seal the device in the bag for at least 72 hours and it will pull the moisture out of it. It’s claimed to be more effective and quicker than using the rice method. It’s only $15 (plus postage), so could be worth having around just in case. 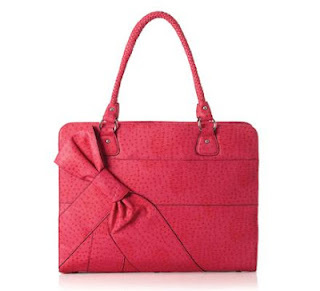 It’s not available in Australia yet, but it can be ordered online. I can't guarantee that these methods will work on your phone - but it's worth a try before you go an buy a new one. Good Luck! Lately I’ve noticed that, according to Facebook, some of my friends are watching some very strange videos! Do you know how the new Socialcam app works with Facebook? Socialcam is a smartphone app that you can use to take and share videos on sites like Facebook and Google+. If you click on a Socialcam video link on Facebook you are taken to a page where you accept the Socialcam licence when you click on ‘OK Watch Video’. From then on, any Socialcam video you watch is automatically broadcast to your Facebook Timeline. There are other video sharing apps around that share what you view on Facebook, but the problem is the type of videos on Socialcam - they have not been screened or edited, and are often ‘Click-bait’ - videos with crazy titles and icons that don’t really indicate what you’re about to watch. For example, ‘How to Steal 23 MacBook Pros’, or ‘Giant snake eats security guard’ – I couldn’t bring myself to watch that one! Often they aren't personal videos someone has uploaded, but the most sensational videos off YouTube that have just been rebranded as being 'shared with Socialcam'. I discovered Socialcam when one of my sons came home from a play with a friend and told me about a video they’d watched of a “really fat man shooting a gun” (he was more concerned that I’d be mad at him calling someone ‘fat’). It turns out they were looking at the screen when the mum was on Facebook and they wanted to see what the funny video was – the title was ‘Try not to laugh’. Most of these videos are of questionable content, most not what you want your children seeing, and these images are definitely not what you want appearing on your Timeline. Do you really want a potential employer looking at your Facebook page and seeing that you’ve been watching video of a man beating up his girlfriend? 2. ﻿Once in the Socialcam app itself, in the upper right hand corner, choose Settings. 3. In Settings, scroll down to Auto Sharing and unclick both the Facebook options. If you want to keep sharing videos, Socialcam has today added a link where you can remove a video from your Timeline; and if you want to get rid of Socialcam completely there’s a link to uninstall it. I’m not against sharing videos on Facebook, the problem is that everyone knows what you’ve been watching – it should be up to you who you choose to share with. On Monday I posted about the GS1 GoScan - an app for your smartphone that allows you to easily scan food products and view nutritional, allergen, and other information about the product. I've just had an update on the GS1 GoScan from GS1 (the not-for-profit organisation who has developed the GS1 GoScan app). They have just launched a website www.goscan.com.au, where you can register your interest in the app, and stay updated on the latest news. If you or your family are affected by allergies please register your interest in this wonderful app. If you'd like some more information on the GS1 GoScan take a look at the videos on YouTube. As if there weren’t enough apps around – looks what’s coming later this month….. 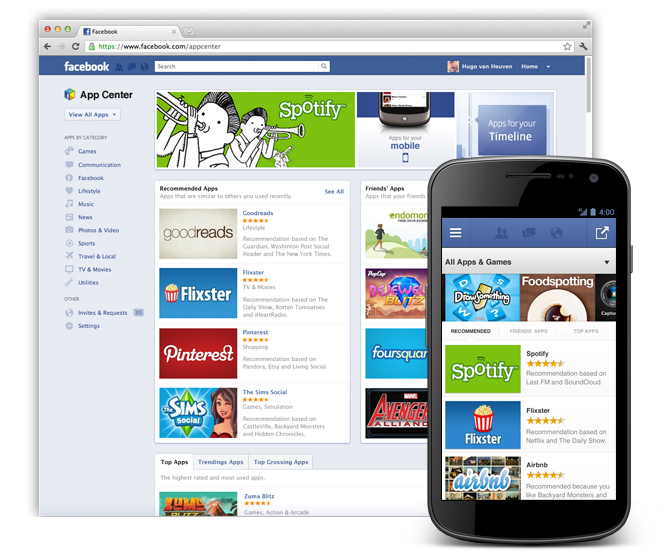 The Facebook App Centre! This means that, instead of searching through iTunes or Google Play for Facebook apps, they’ll all be in one central location for you to examine and buy. It will contain thousands of apps for use solely with Facebook, both free and to buy, with more being added all the time. You’ll be able to access them through your iPhone, iPad or Android devices. There will be user ratings and comments on each app, and they’ll be organised into categories, just like the iTunes store and Google Play. Once it’s released I’ll give you more information on what’s available and how you access it. Approximately 1-2% of Australians have a food allergy, including 1 in 10 children, and some of them will experience a life-threatening allergic reaction (anaphylaxis). About 10 people die each year in Australia from an anaphylactic reaction. Some will grow out of their food allergy, but those with peanut and tree nut allergy will most likely have it for life. My eight year old son had his first anaphylactic reaction to peanuts when he was 13 months old, and it has affected what our family eats ever since. Australia has the highest prevalence of food allergy in the world, and while it is devastating when you or your child are first diagnosed, living with a food allergy is manageable if we have an allergy aware community. This week is Food Allergy Awareness Week, which aims to promote and develop the awareness of food allergy amongst Australians through education, research and ongoing support. One of the first things we did when our son was diagnosed was to join Anaphylaxis Australia, and the information and support they provide has been invaluable. 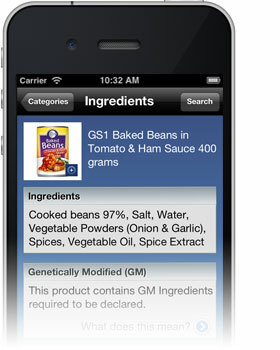 Coming later this year is the GS1 GoScan - an app for your smartphone that will make it so much easier to safely buy food. Using your iPhone or iPad (still waiting for news of an Android app), you scan or type the barcode of a product; which is then checked against a database of all products, provided by the manufacturers. 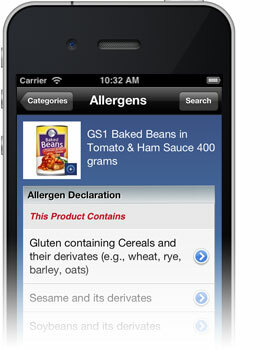 You are then presented with a Categories Screen where you can choose what information you need on that product – Allergens, Ingredients, Nutrition and more. You can even set up GoScan to alert you when a product contains peanuts, or a particular allergen – an alert message would be displayed if a product containing that allergen is scanned. 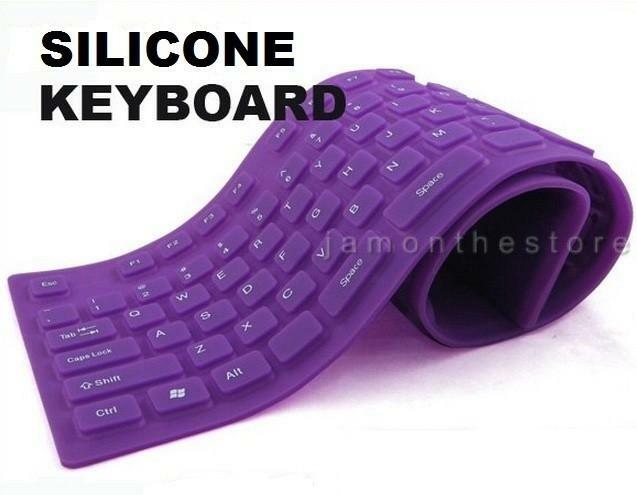 I love this keyboard - you can wash it, disinfect it, even roll it up for travelling. Available in pink, purple, aqua, blue, white and black. Never worry again about spilling your coffee or champagne on your keyboard! Taking into account the delivery time, I'd say this would only work if you weren't seeing your Mum until a few weeks after Mothers' Day - but I just had to include it. You take a photo of your kids and want to send it to your parents – easy – email it… two, three photos – email’s still fine. But, what if you’ve been on holiday and want to send your photos to two sets of grandparents, your sister and best friend? You could post them on Facebook (do your parents even use Facebook?) – but do you really know who can see your family photos? You could upload them to an online photo sharing site (that can be sooo slow to upload) or set it up on a File Sharing service (but everyone may have to have that software). What about the video of your child performing in the school musical? Your phone has a limit on the size of videos it can send and don’t even think about emailing that, unless you want a nasty email back – when the video finally gets through! Or, how about a 40 page assignment you need to send to your teacher? 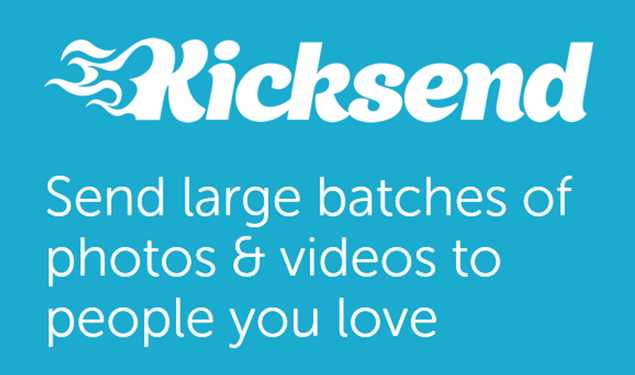 I’ve got a solution… Kicksend is a really easy way to send large numbers of photos, videos or files via the internet, mobile phone or from your computer. 1. Visit the Kicksend website and signup for free. 2. 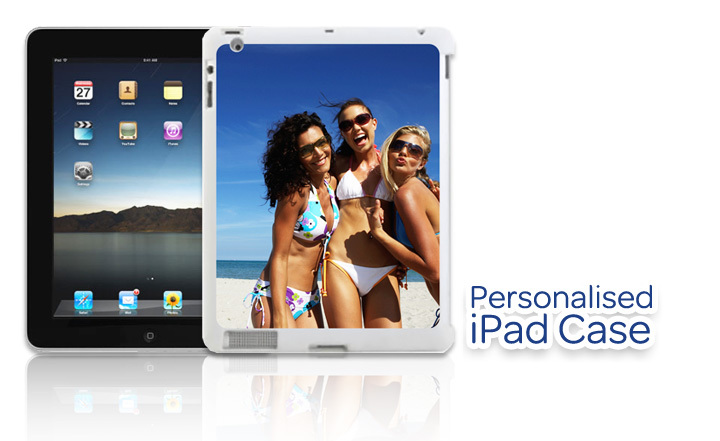 Add the email addresses of your family and friends who you want to send to. You can even create groups of emails, so when you want to send some photos to your mothers group, for example, you just need to select Mothers Group from your list of recipients and the file will go to everyone in that group. With the free version you have a limit of 1 GB each month – that’s about 500 photos. If you use it a lot you can pay for extra. You can also download the Desktop app (for Windows and Mac), which means you have access to all the photos, videos and files stored on your computer. There’s also no limit to the size of the files you send using the desktop app. I’ve used Kicksend to send an entire computer manual to a client. Before Kicksend my only alternative would have been to deliver or post it – which also means I’ve saved on paper and printing costs. On the other end – the recipient doesn’t have to have Kicksend – they will receive an email with a link to the file. They then have three days to download it. However, if they have Kicksend on their desktop the file is automatically downloaded for them; if they have the mobile app they will get an alert and they’ll be able to view the file on their phone as well. Regarding privacy – Kicksend is more of a delivery service than file storage. They only store your files for a short time so they can be accessed by those you’ve sent them to, and then they are deleted. Your photos, videos and files are only accessible by those you have sent them to. 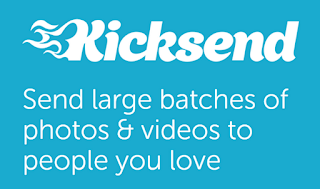 There are other ways to send large numbers of photos, videos and files, but if you or the recipients are not that tech-savvy – Kicksend is by far the easiest one to use.